Okay, I admit that this is virtually identical to an earlier Meal of the Week post, right down to the manufacturer of the bread. 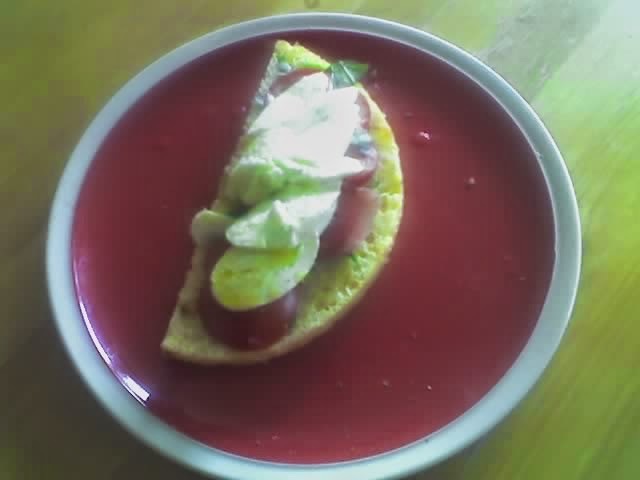 But this time it's the Crosta & Mollica Focaccia Pugliese which I used for the base of this mozzarella-tomato-and-basil treat. And, good lord, what a base it was. 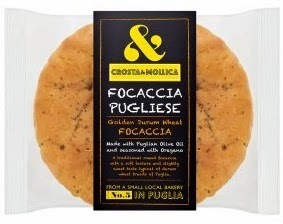 This gorgeous, spongy, salty bread easily outclassed its ciabatta stablemate. It's the perfect vehicle for this Italian style sandwich and might well be unbeatable. Anyway, it was such a great sandwich I just want to eat it all over again, right now. 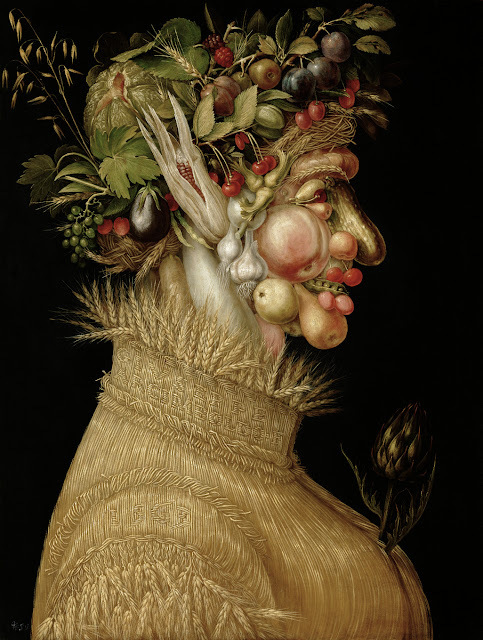 Besides the bread upgrade, there were other differences, too, compared to the Meal of the Week version. I used a different mozzarella and olive oil this time. The cheese was Sainbsury's Basic, since I'd run out of my favourite Tesco mozza (for a discussion of the budget mozzarellas, see here). But the oil was the most notable variation. 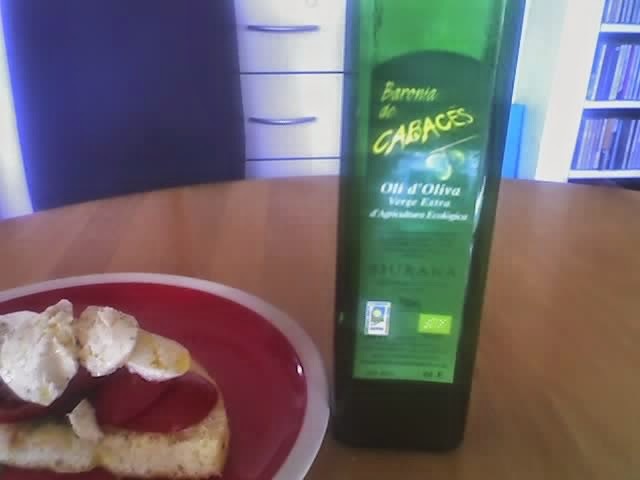 This time I used a glorious organic olive oil which some Spanish friends gave me (Hi Joan! Hi Gemma!). It's called Baronia de Cabacés and, holy moley, it's delicious. Tear the basil leaves, slice the tomatoes, chop the mozzarella, stack on the (warmed and sliced through the middle) focaccia, grind on some black pepper — and drizzle that fantastic oil. No, on second thoughts don't drizzle. Pour it on. 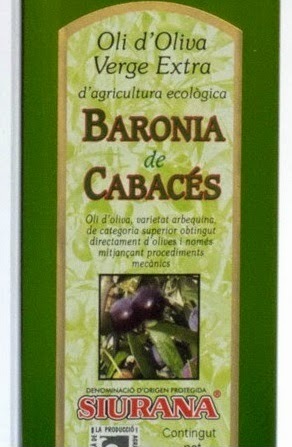 The most intriguing thing about the Baronia de Cabacés oil is that I'd put it at the back of the cupboard to save for a special occasion. Then, when I finally pulled it out, I was mortified to discover that it was several month is past its "best before" date. So I opened it and sampled it with trepidation. And it's just glorious, with a fresh, green, fruity taste. Somehow citric with being acidic, very light and refreshing. All this is in stark contrast with a certain famous big brand "fruity" oil which was still a few months within its best before date and basically tasted — to me — like liquid cardboard.